Francis I (German: Franz Stefan; Italian: Francesco Stefano; English: Francis Stephen; 8 December 1708 – 18 August 1765) was Holy Roman Emperor and Grand Duke of Tuscany, though his wife effectively executed the real powers of those positions. With his wife, Maria Theresa, he was the founder of the Habsburg-Lorraine dynasty. From 1728 until 1737 he was Duke of Lorraine. In 1737, Lorraine became managed by France under terms resulting from the War of the Polish Succession. Francis and the House of Lorraine received the Grand Duchy of Tuscany in the peace treaty that ended that war. After taking the throne of the Holy Roman Empire, the return of the ancestral duchy of Lorraine went nominally to his brother Prince Charles Alexander of Lorraine (who was however engaged in ruling the Austrian Netherlands), until succession under derivate house alliances resulted in Lorraine's annexation to France in 1766. 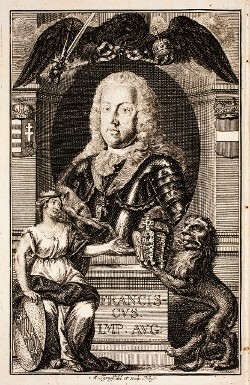 Francis was born in Nancy, Lorraine (now in France), the oldest surviving son of Leopold Joseph, duke of Lorraine, and his wife Élisabeth Charlotte d'Orléans, daughter of Philippe, duc d'Orléans. 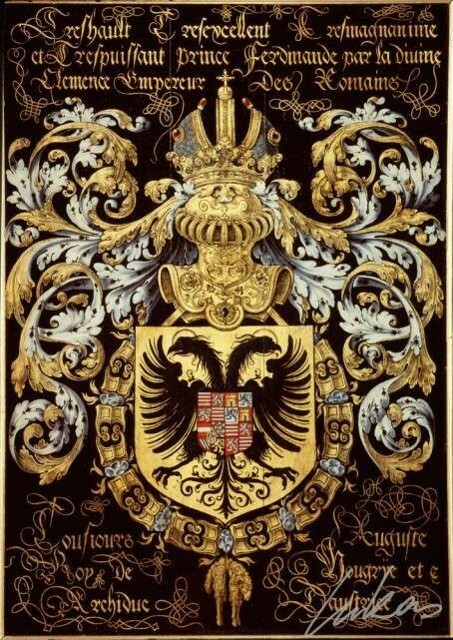 He was connected with the Habsburgs through his grandmother Eleonor, daughter of Emperor Ferdinand III, and wife of Charles Leopold of Lorraine, his grandfather. He was very close to his brother and sister Anne Charlotte. 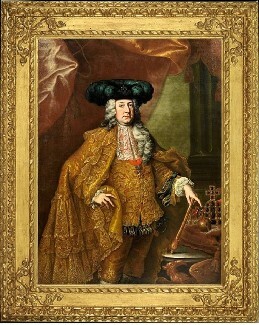 At the age of 15, when he was brought to Vienna, he was established in the Silesian Duchy of Teschen, which had been mediatized and granted to his father by the emperor in 1722. 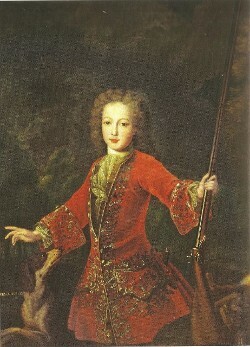 Francis Stefan of Lorraine succeeded his father as Duke of Lorraine in 1729. In 1731 he was initiated into freemasonry (Grand Lodge of England) at a specially convened lodge in The Hague at the house of the British Ambassador, Philip Stanhope, 4th Earl of Chesterfield. During a subsequent visit to England, Francis was made a Master Mason at another specially convened lodge at Houghton Hall, the Norfolk estate of British Prime Minister Robert Walpole. A preliminary peace was concluded in October 1735 and ratified in the Treaty of Vienna in November 1738. 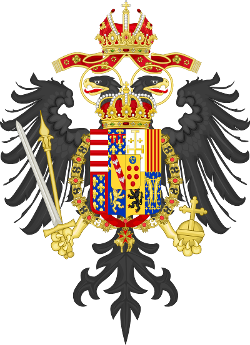 Under its terms, Stanis?aw I, the father-in-law of King Louis XV and the losing claimant to the Polish throne, received Lorraine, while Francis, in compensation for his loss, was made heir to the Grand Duchy of Tuscany, which he would inherit in 1737. They married on February 12 in the Augustinian Church, Vienna. The wedding was held on February 14, 1736. The (secret) treaty between the Emperor and Francis was signed on May 4, 1736. In January 1737, the Spanish troops withdrew from Tuscany, and were replaced by 6,000 Austrians. 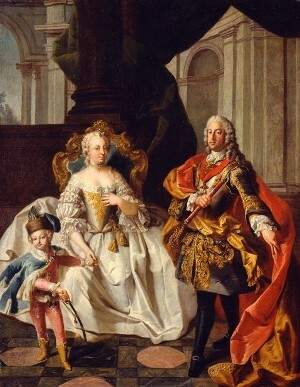 On January 24, 1737 Francis received Tuscany from his father-in-law, Until then, Maria Theresa was Duchess of Lorraine. Gian Gastone de' Medici, who died on 9 July 1737, was the second cousin of Francis. In June 1737 Francis went to Hungary again to fight against the Turks. In October 1738 he was back in Vienna. On December 17, 1738 the couple traveled south, accompanied by his brother Charles to visit Florence for three months. They arrived on January 20, 1739. In 1744 Francis' brother Charles married a younger sister of Maria Theresa, Archduchess Maria Anna of Austria (1718–1744). In 1744 Charles became governor of the Austrian Netherlands, a post he held until his death in 1780. Maria Theresa secured in the Treaty of Füssen his election to the Empire on 13 September 1745, in succession to Charles VII, and she made him co-regent of her hereditary dominions. Francis was well content to leave the wielding of power to his able wife. He had a natural fund of good sense and brilliant business capacity and was a useful assistant to Maria Theresa in the laborious task of governing the complicated Austrian dominions, but he was not active in politics. However, his wife left him in charge of the financial affairs, which he managed well until his death. Heavily indebted and on the verge of bankruptcy at the end of the seven years war, the Austrian Empire was in a better financial condition than France or England in the 1780s. He also took a great interest in the natural sciences. He was a member of the Freemasons. He died suddenly in his carriage while returning from the opera at Innsbruck on 18 August 1765. He is buried in tomb number 55 in the Imperial Crypt in Vienna. Maria Theresa and Francis I had sixteen children—their youngest daughter was the future queen consort of France, Marie Antoinette (1755–1793). He was officially succeeded by his eldest son Joseph II although the real power remained with his wife. Another son was the Emperor Leopold II.